In 1968, just a year after she’d topped the charts with her quietly revolutionary “Ode To Billie Joe,” Bobbie Gentry released a groundbreaking album considered by many to be the true masterwork of her career: ‘The Delta Sweete.’ While ‘Ode To Billie Joe’ was a commercial and critical smash that challenged both the artistic and patriarchal conventions of the era’s country conservatism, ‘The Delta Sweete’ was destined for obscurity. A sophisticated, swampy, country-rock opera examining contemporary life in the Deep South, the record was decidedly ahead of its time in concept and execution. Largely unappreciated by both radio and press, it never charted in any meaningful way, languishing in secondhand shops and collectors’ basements for nearly four decades before it ever even appeared CD. In spite of its poor sales, the record was a talisman for those who got their hands on it. If you knew, you knew, and much like ‘The Velvet Underground & Nico’ or Jeff Buckley’s ‘Grace,’ the record inspired passion, infatuation, even obsession. Now, half a century later, Mercury Rev and an all-star cast of women (including Norah Jones, Margo Price, Phoebe Bridgers, and Lucinda Williams) have resurrected the collection with ‘The Delta Sweete Revisited,’ a brilliant, heartfelt, track-for-track reimagination that honors the original album’s pioneering spirit while simultaneously offering fresh perspective and modern insight. ‘The Delta Sweete Revisited’ is about more than looking backwards, though. The album arrives at a pivotal moment in our national conversation about the roles, rights, and recognition of women, and it’s hard to imagine a better framework for that discussion than Gentry’s lost masterpiece. In his insightful liner notes for the new collection, Rolling Stone’s David Fricke describes Gentry as a barrier-breaking feminist “in vision, deed and success amid the strict, paternal order of the country-music industry,” and indeed her legacy lives on through each of the artists who contribute their voices to this album. Over the years, ‘The Delta Sweete’ had developed a similar hold over Donahue’s bandmates—fellow founding member Sean “Grasshopper” Mackowiak and more recent addition Jesse Chandler (Midlake, Bnqt)—and so in 2015, they began toying with a rather crazy idea. What if Mercury Rev recorded the entire album from top to bottom? Not for release or anything, mind you, but just for the love of the songs, for the purely artistic sake of creating something they could enjoy and share with friends who felt as strongly about the music as they did. Over the course of the next three years, a gorgeous series of sweeping, inventive interpretations burst to life in the band’s Catskills studio, faithful to the emotional resonance of the original songs but naturally filtered through Mercury Rev’s singularly daring musical psyche. The project quickly took on a life of its own, and soon the band had assembled an unmatched roster of women from across a broad range of genres to lend their vocals to what NPR describes as Mercury Rev’s “spectral new arrangements.” With a different singer on each track, it would be easy for a collection like this to come across as disjointed, but instead ‘The Delta Sweete Revisited’ feels beautifully cohesive, with each vocalist illuminating a unique facet of Gentry’s complicated artistry. 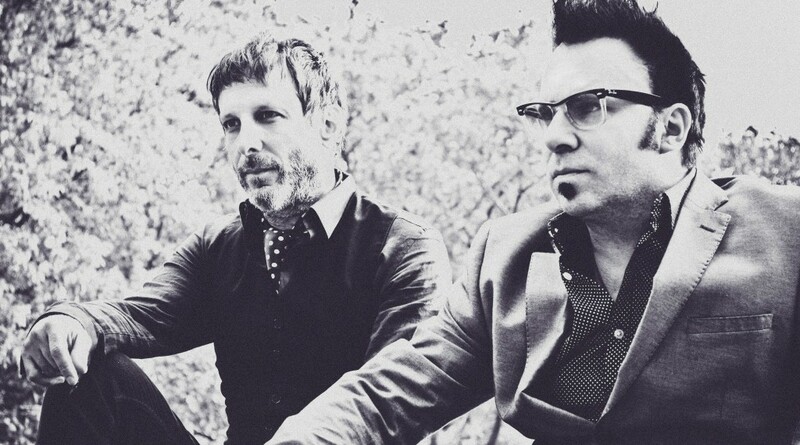 Since forming in 1989, Mercury Rev has made a career out of boldly exploring the fringes of artistic perception, channeling colors and sounds and visions that always seem just beyond our mortal reach. The Guardian hailed the group as “a rarity in indie rock: a band who have continually evolved their sound, pushing at the boundaries of what rock music actually means over 25 years, borrowing from jazz, funk, doo-wop, techno, folk and more along the way,” while Rolling Stone praised their “majestic chaos,” and the BBC lauded their “shimmering psychedelic pop, immersive indie-rock, [and] spectacularly engrossing passages of sumptuous instrumentation.” The band’s 1991 debut, ‘Yerself Is Steam,’ landed on Pitchfork’s rundown of the Best Shoegaze Albums of All Time, and their 1998 breakthrough, ‘Deserter’s Songs,’ was named NME’s Album of the Year upon its release. Major festival and television performances around the world solidified their status as that rare group capable of straddling the line between mainstream appeal and progressive musical and technological experimentation, but the band’s journey was also a tumultuous one, full of lineup changes, setbacks, and heartbreak. Ultimately, ‘The Delta Sweete Revisited’ is about much more than recognition or reward. It’s a tribute to the enduring legacy of an artist who forged a path for so many to follow, a testament to the power of our connection to the music that speaks to our most intimate selves, a timely contribution to a dialogue about autonomy and equality that stretches far beyond the art itself.